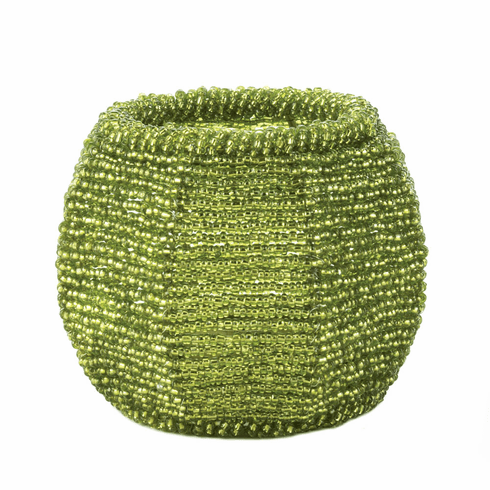 Fun, easy style is yours with this cool candle holder. 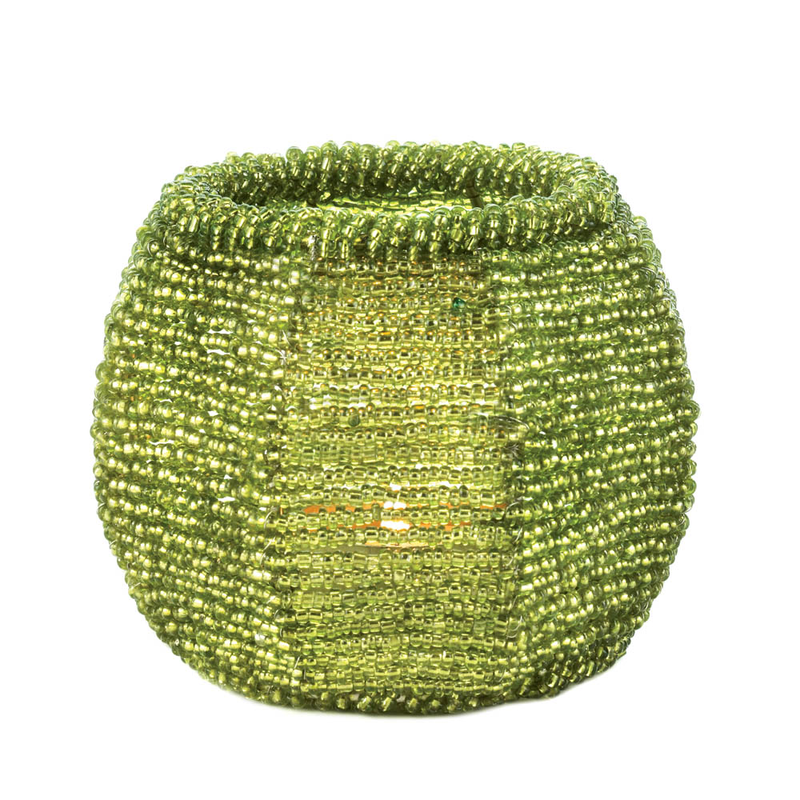 The wire frame is strung with hundreds of tiny lime green beads that will sparkle and shine when you light the candle of your choice inside. Great indoors or on your patio table. Item weight: 0.6 lb. 4¼" x 4¼" x 3½" high. Iron and beads. Candle not included. UPC: 849179025236.